Ayurvedic Rejuvenation and wellness Programs. 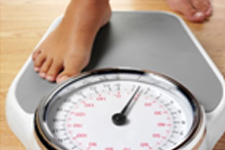 Combination Ayurvedic and Modern Weight Loss Programs. Combination Ayurvedic and Physiotherapy for Physiotherapy Conditions. we at myPhysioWorks Ayurvedic aim to provide an holistic and authentic Ayurvedic treatment and practices to our patients. Ayurvedic treatment is unique in its approach to health and disease. Instead of suppressing the main symptoms, the root cause is eliminated and thus gives permanent relief. The treatment is mainly carried out using powders, tablets, decoctions, medicated oils etc. prepared from natural herbs, plants and minerals, massages and enemas etc. Ayurvedic medicine and treatment has remedies for almost all common ailments. myPhysioworks Ayurvedic offers authentic Kerala specific Ayurvedic and Panchakarma Therapies which is tailored to each individual health condition. Ayurveda has unique treatment options for most common ailments. 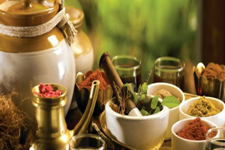 Our physician would prescribe and provide unique treatment based on ayurvedic medicines and therapies. Ayurveda has safe and effective treatment for Anxiety, Sleeplessness, Depression and other stress related problems like Migraine, High blood pressure, Allergies etc. We combine conventional physiotherapy treatment with the holistic Ayurvedic practices in promoting and aiding the healing process post injury, reducing pain, increasing range of movement and guiding and progressing individual rehabilitation programs for a wide range of conditions. The combined therapy is unique in nature and offers much promise of much better healing and recovery for most the above listed conditions.